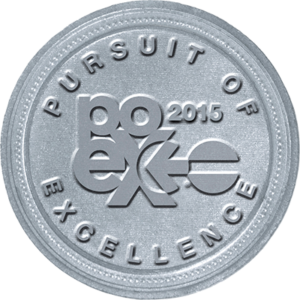 North American Van Lines, in conjunction with the NAMA (North American Movers Association) Quality Committee, proudly announces that CAPITOL NORTH AMERICAN of LAS VEGAS, NEVADA has been named a 2015 Silver Pursuit of Excellence award winner. 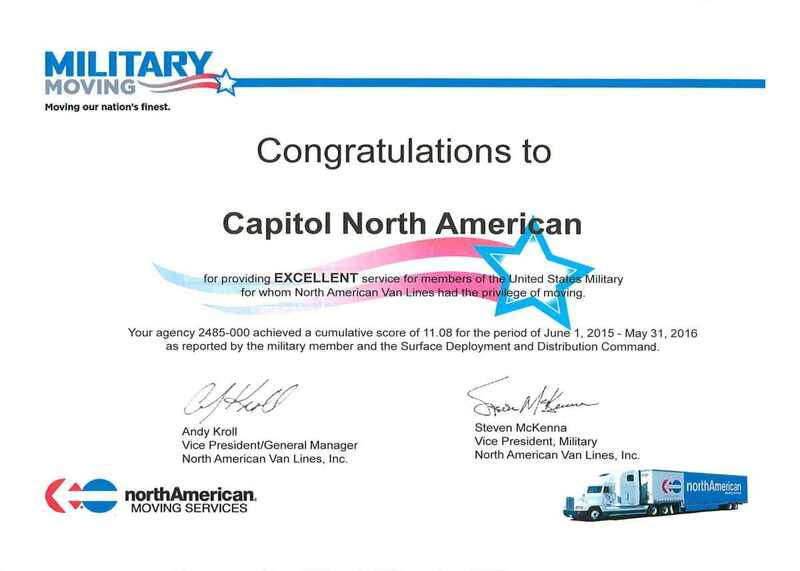 Capitol North American received an award from North American Van lines for its cumulative rating of 11.08 out of 12 rated by military members moving from the period from June 1 2015 to May 31 2016. 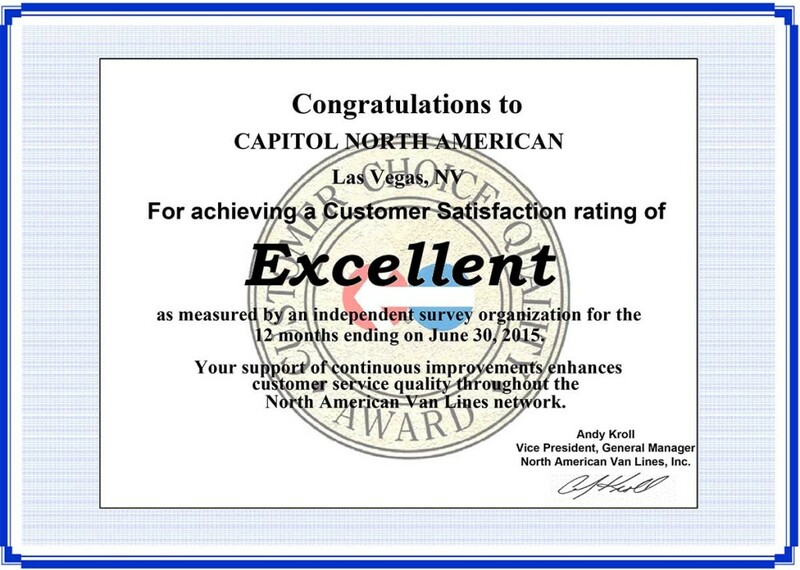 The surveys completed by over 50 military members range from packing& loading services to attitude, professionalism, knowledge and customer service. The Las Vegas branch of Capitol North American was recently awarded a Customer Satisfaction rating of Excellent for their work done from October 1, 2015, through to September 30th, 2016! This is the second time our company has received this award – the previous time was for June 1, 2014 through to June 30, 2015. 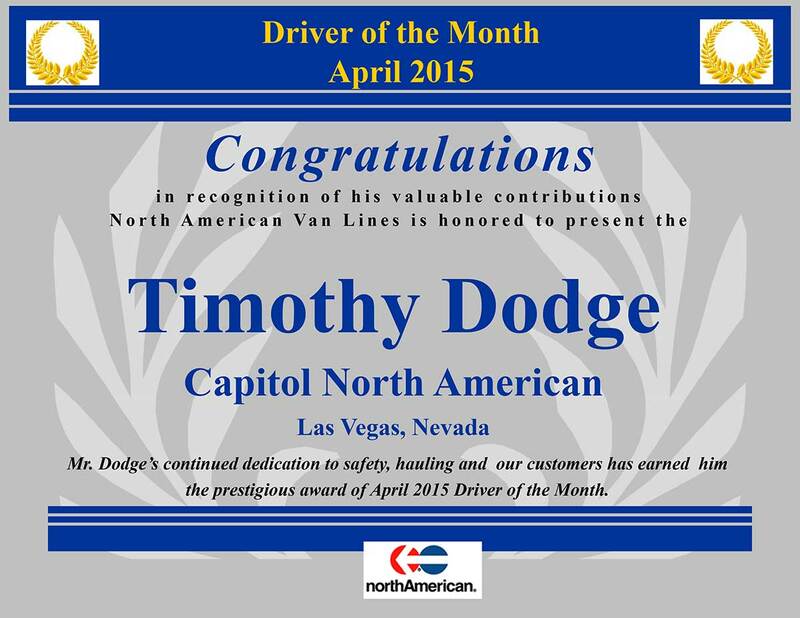 Our own Timothy Dodge was awarded the Driver of the Month award for April, 2015, beating out over 10,000 employees nationwide!